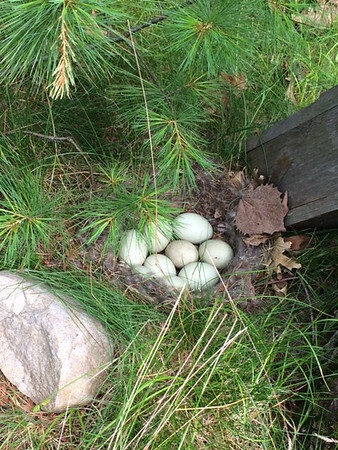 We discovered this nest of mallard duck eggs recently in the yard of our cottage on Green Lake. Mama duck had taken a break, allowing us to catch a glimpse before she covered them with leaves and down. Photo by Kathy Farrell.